Govan High School is a secondary school situated in Govan, Glasgow, Scotland. It opened on its current site in 1969 and in 2010 it celebrated its centenary, with Sir Alex Ferguson attending the event. Although he appeared in over 50 television series and movie roles, he is best remembered for two: Inspector Lestrade in the 1954 series Sherlock Holmes  :960 and as Little John in The Adventures of Robin Hood  from 1955 to 1960. Inspector G. Lestrade, or Mr. Lestrade, is a fictional character appearing in several of the Sherlock Holmes stories written by Sir Arthur Conan Doyle. Doyle used the name of a friend from his days at the University of Edinburgh, a Saint Lucian medical student, Joseph Alexandre Lestrade. In The Adventure of the Cardboard Box, Lestrade's first initial is revealed to be G. He is described as “a little sallow rat-faced, dark-eyed fellow” in A Study in Scarlet and “a lean, ferret-like man, furtive and sly-looking”," in The Boscombe Valley Mystery. 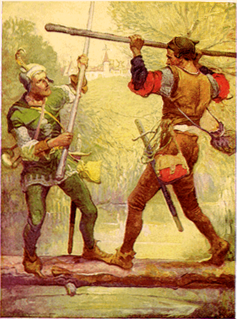 “Little” John is said to have been Robin's chief lieutenant and second-in-command of the Merry Men. The Adventures of Robin Hood is a British television series comprising 143 half-hour, black and white episodes broadcast weekly between 1955 and 1959 on ITV. It starred Richard Greene as the outlaw Robin Hood, and Alan Wheatley as his nemesis, the Sheriff of Nottingham. The show followed the legendary character Robin Hood and his band of merry men in Sherwood Forest and the surrounding vicinity. While some episodes dramatised the traditional Robin Hood tales, most were original dramas created by the show's writers and producers. Duncan was replaced in the Little John role by Rufus Cruikshank for 13 episodes after Duncan was injured when a horse bolted toward spectators, mostly children, watching the location filming of the episode "Checkmate" on 20 April 1955. He grabbed the bridle, stopping the horse, but the cart it was pulling ran him over, causing a fractured kneecap and cuts and bruises. He received the Queen's Commendation for Bravery Award  and £1,360 in damages from Sapphire films. Ring of Bright Water is a 1969 British-American feature film starring Bill Travers and Virginia McKenna. It is a story about a Londoner and his pet otter living on the Scottish coast. The story is fictional, but is adapted from the 1960 autobiographical book of the same name by Gavin Maxwell. It featured the stars of Born Free, another film about a close relationship between humans and a wild animal. Lon Leonard "Lonny" Chapman was an American actor best known for his numerous guest star appearances on television drama series. Sam Edwards was an American actor. His most famous role on television was as banker Bill Anderson on Little House on the Prairie. Duncan Peter Regehr is a Canadian writer, multi-media artist, and film and television actor. He was also a figure skater and a classically trained Shakespearean stage actor in his native Canada, before heading to Hollywood in 1980. He is perhaps best known as Zorro in The Family Channel's television series based upon Johnston McCulley's classic hero, and from his roles in multiple television incarnations of Star Trek. Ramon Arens Bieri was an American actor who starred in many films and TV shows. James Griffith was an American character actor, musician and screenwriter. Beverly Lucy Garland was an American actress. Her work in feature films primarily consisted of small parts in a few major productions or leads in low-budget action or science fiction movies. On television, she had prominent recurring roles on several popular series. She may be best remembered as Barbara Harper Douglas, the woman who married widower Steve Douglas in the latter years of the sitcom My Three Sons. She played in that role from 1969 until the series concluded in 1972. In the 1980s, she co-starred as Dotty West, the mother of Kate Jackson's character, in the CBS television series Scarecrow and Mrs. King. She had a recurring role as Ginger Jackson on 7th Heaven. In 1958–1959, she starred in the TV crime-drama Decoy, which ran for 39 episodes. 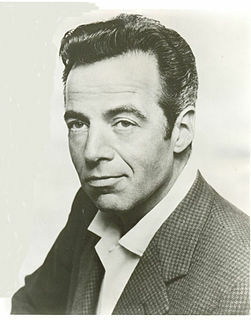 Joe Maross was an American stage, film, and television actor whose career spanned over four decades. 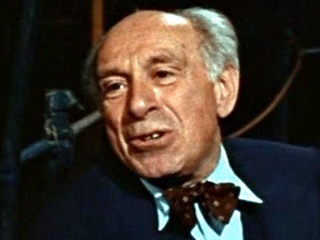 Working predominantly on television in supporting roles or as a guest star, Maross performed in a wide variety of series and made-for-television movies between the early 1950s and mid-1980s. Nita Talbot is an American actress. Talbot was a leading lady who spent the first decade or so of her career playing "slick chicks" and sharp-witted career girls. 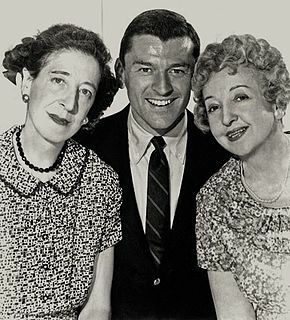 Talbot received an Emmy Award nomination for Best Supporting Actress in a Comedy Series for the 1967–68 season of Hogan's Heroes. Hugh Reilly was an American actor who performed on the Broadway stage, in films, and on television. He is best remembered for co-starring from 1958 to 1964 as the father, Paul Martin, in the CBS television series, Lassie. Charles Arthur Space was an American film, television and stage actor. He was best known as Doc Weaver, the veterinarian, in thirty-nine episodes of the CBS television series Lassie. The Adventures of Kit Carson is an American Western television series that aired in syndication from August 1951 to November 1955, originally sponsored by Coca-Cola. It stars Bill Williams in the title role as frontier scout Christopher "Kit" Carson. Don Diamond co-starred as "El Toro", Carson's Mexican companion. Richard Carlyle was a film, television and Broadway actor. Not to be confused with the actor Richard Travis, whose film credits since the 1980s have been mistakenly merged with those of this actor. 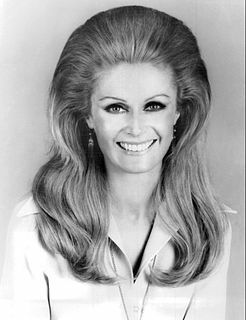 Nanette June Leslie was an American actress of film and television. Her longest-running role was as Martha McGivern in 37 episodes of the first season of The Californians. She was also known as Nan Coppage. 1 2 3 4 Aaker, Everett (2011). Encyclopedia of Early Television Crime Fighters: All Regular Cast Members in American Crime and Mystery Series, 1948-1959. Jefferson, N.C.: McFarland & Co. pp. 204–206. ISBN 978-0-7864-6409-8. 1 2 Terrace, Vincent (2011). Encyclopedia of Television Shows, 1925 through 2010 (2nd ed.). Jefferson, N.C.: McFarland & Company, Inc., Publishers. p. 16. ISBN 978-0-7864-6477-7. ↑ "Ring of Bright Water - BBC Two". BBC.